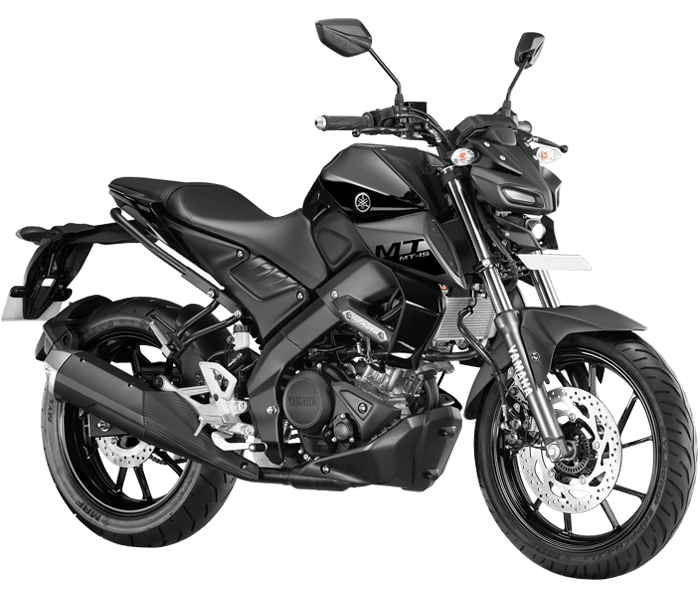 Yamaha MT-15 vs R15 Version 3 (Detailed Comparison): Yamaha has finally launched the MT-15 in India with an ex-showroom price tag of INR 1.36 lakh. MT-15 and R15 V3 are two different products based on the same frame. 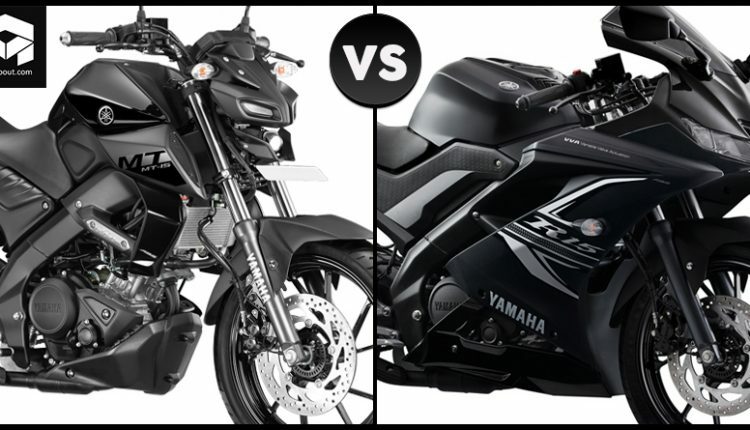 Still, the number of differences are huge enough for an enthusiast to have a deep comparison before deciding on the body type for the motorcycle. 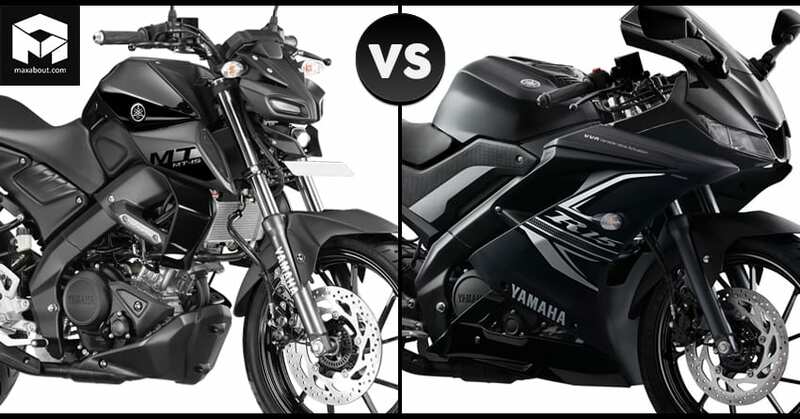 Before moving forward with the differences, let’s first understand the common points for both the bikes. The chassis stays Deltabox on both the motorcycles, pushing the capability of the naked streetfighter higher by a praiseworthy margin in comparison to their own FZS V3. The alloy wheel design and tyre size on both the bikes are identical. Another big thing that stays common on both bikes is the engine. 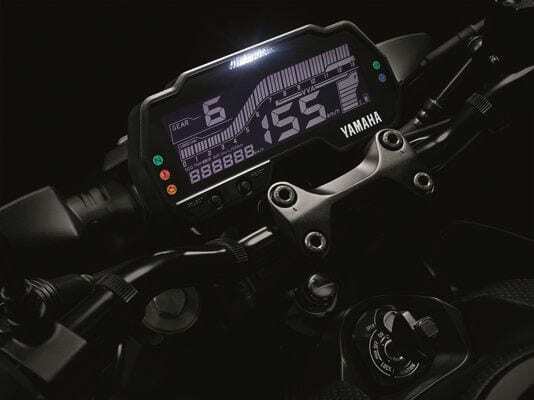 The 155.1cc, single cylinder engine from Yamaha is good for 19.3 HP @ 10,000 rpm and 14.7 Nm at 8,500 rpm. The output, along with the slipper clutch and 6-speed gearbox stays common on both the bikes. The first difference in Yamaha MT-15 and R15 V3 is the use of aluminium swingarm on the track-spec racer. Both the bikes feature standard telescopic forks and sporty monoshock placement. The handlebar on the MT-15 is a bar-type unit with higher placement for a straight riding position. On the other hand, R15 V3 features sporty clip-on handlebar that is directly mounted on the suspension. The effect can be felt immediately and comfort is sacrificed in the process. The power-to-weight ratio favors the MT-15 whereas aerodynamics take the R15’s side due to added panels and inclined front fascia. 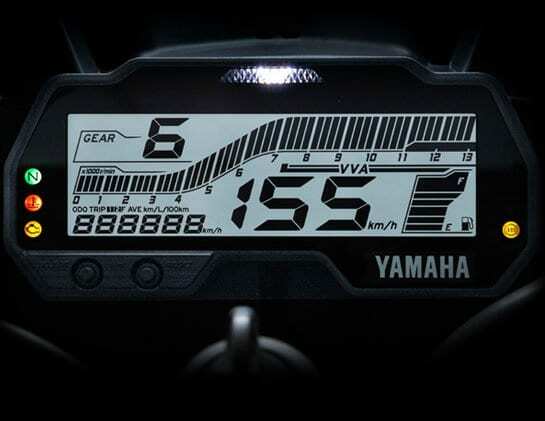 Yamaha MT-15 features inverted console in place of the standard white back-lit display on the R15 V3. The rear view mirrors are mounted on the handlebar of MT-15 while the placement of the same is on the fairing of the R15 V3. 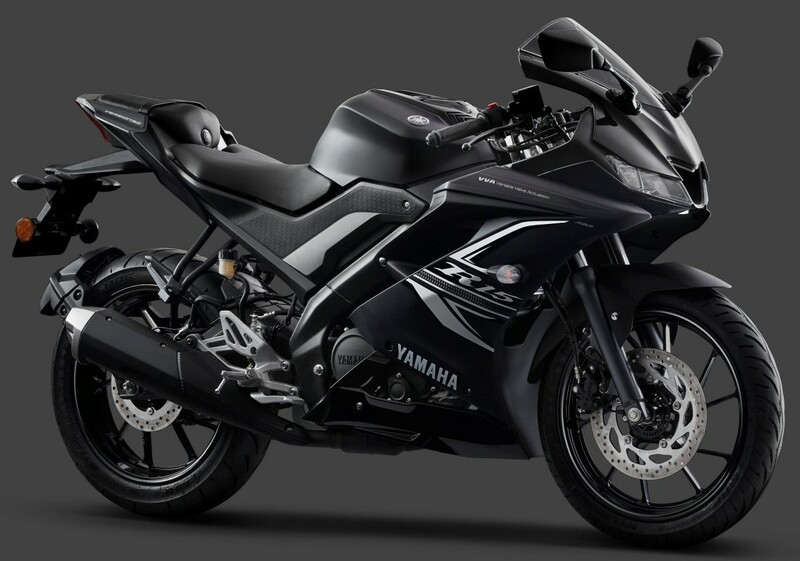 Yamaha brings dual LED headlight on the R15 V3 while MT-15 features a bi-functional projector headlight with two daytime running lights on the top side. The windscreen is small and practical for city conditions on the streetfighter. Yamaha MT-15 is available in a single variant for INR 1.36 lakh (ex-showroom). The most disappointing thing is that the MT-15 comes with a single channel ABS unit. 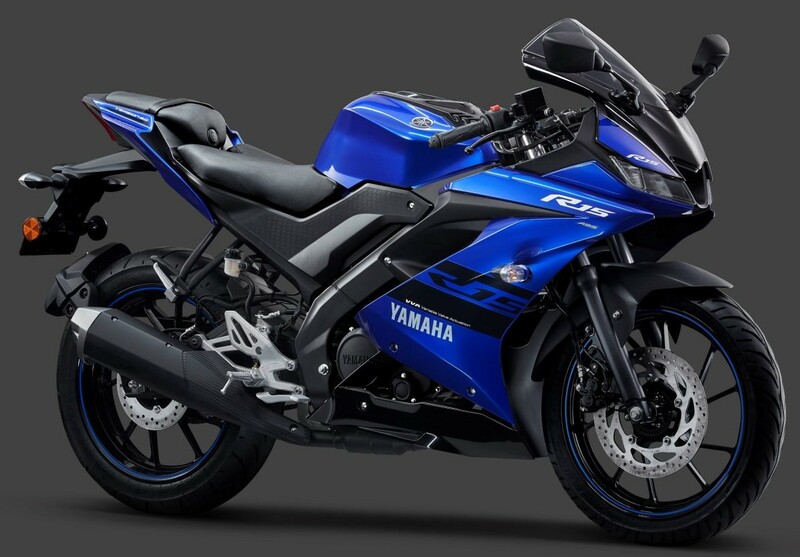 Yamaha should have equipped the bike with dual-channel ABS unit as the brand is already offering the same on the R15 V3. You May Like: Custom Honda CB Unicorn 150 'Numero Uno' by Costa Motorcycle Co.